Nearly a year on from his coronation as the IBF world ruler, Barry Town’s ‘Sugar’ Lee Selby (23-1, 9KO) returned to the O2 Arena to overcome of Philadelphian mandatory challenger Eric Hunter (21-4, 11KO). Wales’ 12th world champion picked himself off the canvas to regain his title via unanimous decision, which is likely to make him a more attractive target for others. Selby wants to fight in his home country but without a suitable venue to host him, he will surely have to pursue other options for a third featherweight title defence. 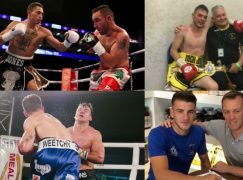 On the undercard at London’s O2 Arena, Poland’s unbeaten but unheralded Kamil Laszczyk (22-0, 8KO) out-pointed Ignac Kassai, a journeyman who has suffered 50 losses and twenty knockouts. BoxingWales.com understood that Laszczyk, who is based in New Jersey, had been in the running to face Selby on his American debut six months ago. The Polish operator’s random appearance on the Marchroom Sport show raises suspicions that he may feature in Selby’s future. 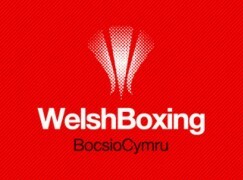 Last week, both Selby and Carl Frampton’s (22-0, 14KO) managers, Jamie Sanigar and Barry McGuigan, exclusively confirmed to BoxingWales.com that the world champions have held talks for a super-fight. However, this isn’t an immediate option and the contest, if it happens, is likely to be held in 2017 at the earliest. Belfast’s Frampton, who operates four pounds lighter at super-bantamweight, has been stripped of the WBA strap he collected from England’s Scott Quigg in February for refusing to defend it against Cuban maestro Guillermo Rigondeaux. The IBF have also ordered Frampton to make a mandatory defence against Japan’s Shingo Wake, which is more likely and would clog up the Ulsterman’s immediate calendar. Eddie Hearn, who holds a promotional agreement with Selby, will probably be keener on a meeting with Leeds’ Josh Warrington in the summer. Next week, Warrington takes on Japan’s tough Hisashi Amagasa and if he comes through, a challenge to Selby in front of the Yorkshireman’s home supporters is a serious possibility. With one of British boxing’s most fanatical fan-bases, Warrington has made no secret of his intention to fight for a world title at the home of Leeds United FC, Elland Road. The vocal rising contender has been on Selby’s tail for some time; winning his vacated Commonwealth, British, European and WBC International titles. Other options may lie across the Atlantic Ocean. In August, Selby signed an advisory agreement with the mysteriously un-public but powerful Al Haymon. It puts Selby in the list of opponents that Mexican star Leo Santa Cruz, the WBA featherweight belt-holder, can choose from in his reign as a three-weight world champion. There are negative effects to Selby’s relationship with Haymon and it does seem to have strained his relations with Hearn, who admitted to iFL TV’s Kugan Cassius that he can’t give “120%” to their mutual interests. It will explain why Selby appeared so far down the running order of tonight’s show, being placed as the fourth fight from the top of the card. It was concerning to see the debut of Conor Benn, son of two weight global ruler Nigel, and a routine fight for George Groves take prominence over Selby, an undoubtedly world class operator. Image by Matchroom Sport/Lawrence Lustig.